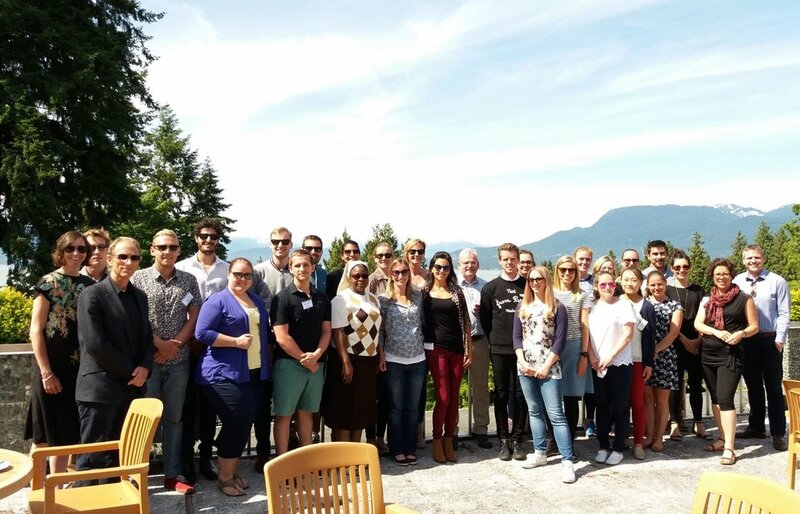 The 5th Pragmatic Evaluation in Physical Activity and Public Health course was in Vancouver, Canada on 4th – 6th June 2017. We were hosted by Prof Guy Faulkner and the School of Kinesiology at the University of British Columbia. The course was an official Satellite event of the annual International Society of Behavioural Nutrition and Physical Activity (ISBNPA) conference held over the water in Victoria 8th-11th June 2017. The course was also endorsed by the International Society for Physical Activity and Health (ISPAH). There were 22 course delegates competitively selected from 10 different countries – Nigeria, South Africa, Denmark, Netherlands, United Kingdom, Brazil, USA, Australia, and the Republic of Korea. The course successfully brought together academics, practitioners and policy-makers for joint capacity building in practically applied research and rigorous evaluation of physical activity programs. Delegates shared experiences from their home countries and it was an opportunity to learn from various settings and cultures. We welcomed 9 faculty members from both the local region and international experts in evaluation who ran skill development sessions and shared learning from real world pragmatic evaluations. The 2.5-day face-to-face component of the course covered the breadth and depth of pragmatic evaluation. Some of the content included ‘evaluation priorities’, ‘the evaluation cycle’, ‘logic models’, ‘qualitative evaluation’, ‘formative evaluation’, ‘process evaluation’, ‘impact/outcome evaluation’ and ‘complex evaluation’. The pre-course online content was provided by the WHO Collaborating Centre for Physical Activity, Nutrition and Obesity at the University of Sydney. The experiences of the delegates were drawn upon to deliver interactive sessions that featured extensive group work and discussions led by both the teaching faculty and the participants. All course completers were invited to join a growing international network of alumni that now contains 83 members from 31 different countries. Plans for future iterations of the Pragmatic Evaluation in Physical Activity and Public Health course are in motion in different parts of the world and further details can be obtained by contacting the course coordinators (pragmatic.evaluation@gmail.com). These courses are organised by Dr Paul Kelly (University of Edinburgh), Dr Karen Milton (University of Oxford) and Dr Justin Richards (University of Sydney).